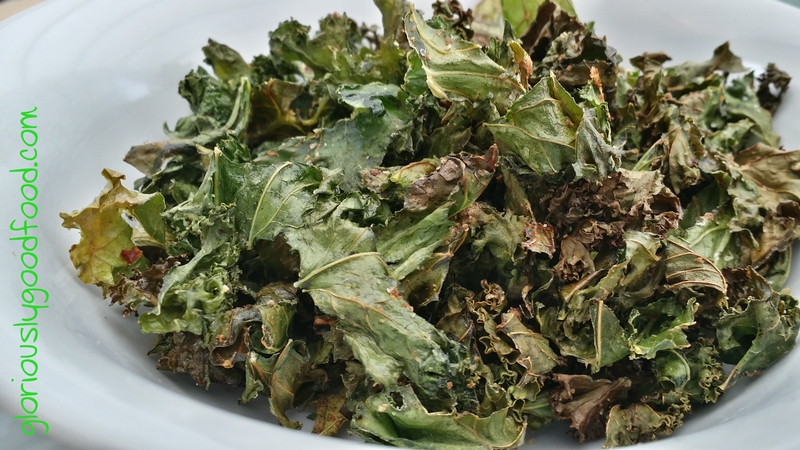 and curly kale crisps are very quick and easy to make! Whilst curly kale is no longer a novelty product on our shelves, and much more widely available than it was a few years ago, the health benefits highlighted in this article are still very relevant and valid. Curly kale is very high in vitamin C, calcium and iron, to name but a few key nutrients. You can really experiment with flavours, too! Today, I made garlic and chilli curly kale crisps. Place the curly kale in a bowl and spray on a little cooking oil. Sprinkle the seasoning on and toss well to ensure even coating, then spread the leaves out onto a baking tray with a non-stick base or lining (e.g. Teflon lining sheet) and put into the oven. Bake for approximately 12-15 minutes, checking and carefully turning the leaves over for even crisping after about 10 minutes. Serve hot or cold (if you can wait long enough for it to cool down!). Gloriously Simple, Gloriously Good! Yum!